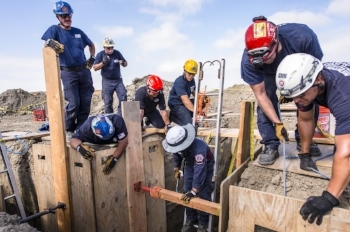 CMC, the California-based rescue and rope access company dedicated to helping save lives and keeping people safe, today announced that their CMC School Fall 2018 schedule will offer a broader range of rescue and rope access professional training courses, in more locations across the United States. The CMC School Fall 2018 courses will be available at strategic locations around the country to allow more individuals than ever before to enroll in courses such as Confined Space Rescue, Rope Rescue Technician I/II, Rope Rescue Technician III and Rope Access (SPRAT® Level I). The Open Enrollment calendar for 2018 courses is now open for registration here. 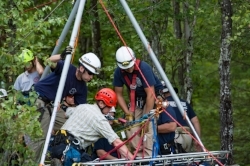 Rope Rescue Technician III is an advanced rope rescue training for the serious professional. This 40-hour class presents challenging scenarios that test your rigging skills and expand your problem-solving capabilities. The course covers systems testing, advanced litter handling techniques, artificial high directionals high lines and more. Rope Access (SPRAT® Level I) provides an intense five-day, 40-hour training course in rope access fundamentals and prepares students to take the SPRAT® Level I certification exam. Newer PostStampede InfoComm 2018 Gold Rush Offers Resellers the Chance to See New Products, Win Valuable Prizes, and Earn Valuable Reward Points!